How to find a good dentist in your area ? Finding a dentist that you like and feel comfortable with can be a bit daunting, but it will be easier if you know where and how to look for the right person. You will want to compare them by looking at their location and asking questions to determine who will best fit your situation. 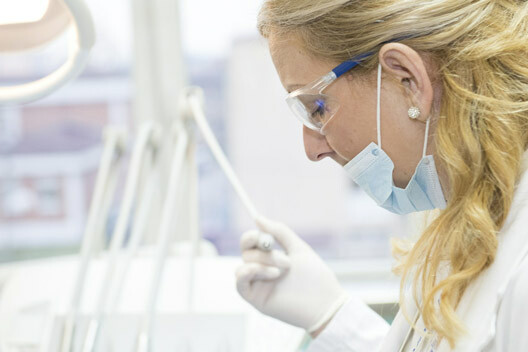 The first thing you will want to do is determine what kind of dental professional you will need. If you are reading this article, we can assume that you want someone who can perform implant procedures and install the abutment and crown. How to do your research ? You may also need other professionals depending on the severity and extent of your personal case. Specialists may be called in if you need bone grafts or sinus augmentations. The key is to look for someone who has a good reputation with both clients and dentists. They have a good reputation because they are honest with their clients, they perform quality work, they do listen to their patients, they are knowledgeable about procedures they agree to do, and they will follow up with emergencies or problems if necessary. If you want to find a good dentist you will need to do your research. Let’s see how. Your family and friends : Finding a dentist is best if you start your quest with your core group: friends, family members, or co-workers. They will be able to give you honest recommendations that you trust. Your next circle : If you don’t have family members or friends who had had implant surgery, why not ask your hairdresser, your pharmacist or family doctor? They probably can throw you a few names to check. If you don’t ask, you don’t get. Local or national association If you still haven’t found a place to go, you can try to contact your state or local dental association. Check on the American Dental Association (ADA) website to find a list of societies. From there, you should be able to narrow your list down quite a bit just from that. Finally, you will have to do the legwork and actually go visit them. Schedule a consultation and see if you like the feel of the dental practice center, the dentist, and his or her team. Don’t be shy. Be upfront about your expectations. Ask a clear and detailed quotation so you will be able to compare the costs from several dentists. Check our article here about dental implant cost so you already have a rough estimate of what you should expect. Make sure to take notes especially if you intend to visit many dental practises so you won’t mix up everything when decision time arrives. Your initial consultation is absolutely crucial to make you decision and we can sometimes be so stressed that we usually forget what to ask and what to check. To help you prepare you appointments, here is a very exhaustive list of questions to use. There a lot of them, you won’t need to ask them all, as your consultation would end up like a police interview. Simply pick the ones that you feel is important and necessary for your case. Do you have the proper qualifications? Where did you graduate form? Are you a Doctor of Dental Surgery (DDS) or a Doctor of Dental Medicine (DMD)? When was the last time you received training on implants? How many implants have you done? What percentage have been successful? Can you walk me through how you approach implants? What is your preferred type of implant and procedure? What other options do you have for implant material? What type of anaesthesia do you use during implants? Do you offer other amenities in your operating room? Do you have a 24-hour emergency line? Do you provide care for adults and children? Do you offer referrals if you can’t do my particular surgery? Do you work with a particular hospital? How much do you typically charge for single implants? What does that price include? Do you have any before and after photos for your previous clients? Or do you have any testimonials that I can look through? How long does the procedure take? Do you usually utilize multiple sessions? What happens if the implant fails? Do the hours work with my schedule? Was the staff friendly and willing to answer my questions? Do I feel comfortable in this building? Does everything look clean and well organized? Does the technology and/or equipment look new? Do they wear gloves and face masks? Did they ask questions about your oral health? Did they explain themselves thoroughly and completely? Do they communicate in simple terms so that you actually understand what is going on? Do they cover all aspects of the surgery, including what can go wrong? Did they actually look at your mouth, gums, and teeth? Did they look at your medical history? I told you, there a lot of questions, but in the end it will be worth it if you can find a dentist that you really like. However, the questions that should stand out and be answered are the ones that pertain to your health and safety. On questions about insurance coverage, you should still double check with your insurance company to see just how much they will cover. Every case is different and what might be covered for someone else won’t be covered for you. You don’t want to be surprised with that number at the end! Finally, it can be difficult to look at anything but how much the implant procedure is going to cost you, but try not to select someone only because he or she offers the lowest prices. They say that you get what you pay for and even if there are exceptions such as the ones we indicated in our article to get cheap dental implants, you don’t want to risk your oral health for a few dollars. Someone who is way too pushy, or claims his/her implant success rates is 100%, or make exaggerated promises should raise your red flag sign: it is best to just walk away. Do more work and keep looking for the right dentist for you – it will be worth it.